Church Street hotel is a Spanish Americana Oasis in the heart of downtown South London inspired by the warmth and sensuality of the Americas. 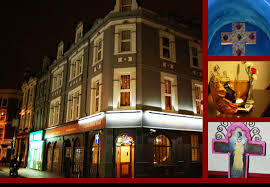 With vibrant local art scene, effervescent night life, yet close proximity to central London, Church street hotel is an ideal location to explore both the cool, and quirky of Local London life, covering Brixton, Camberwell, East Dulwich, Peckham, to the more common central London attractions. Regular buses from outside the hotel reach most parts of London in under 30mins, while there is overground rail ( Denmark hill) within 10 mins walk and underground ( oval ) within a 10 min bus ride. On our doorstep you will find a myriad of great local pubs, restaurants, galleries, gastro pubs, farmers markets, street markets, music venues and independent retailers. Just ask one of our helpful reception staff for advice on where to go. Our hotel represents our very own Trinity ; on site you will also find our award winning Spanish restaurant ‘Angels & Gypsies’ together with our magical basement bar ‘Communion Bar’ offering artisan cocktails & exception live music. Immersed in every aspect of our business you will find our passion for local, independent supply and hand crafted produce, from the hand painted Mexican tiles in your rooms, to our daily baked organic bread, to our independent boutique rums brought back to the UK for ageing. We invite you to experience our warm independent hotel, where we celebrate uniqueness , a passion for hospitality, and the joy of hand crafted independent produce. Church Street Hotel is offering a free night's stay to an adult living with cancer plus partner, friend, or family member. Church Street hotel is a Spanish Americana Oasis in the heart of downtown South London inspired by the warmth and sensuality of the Americas. 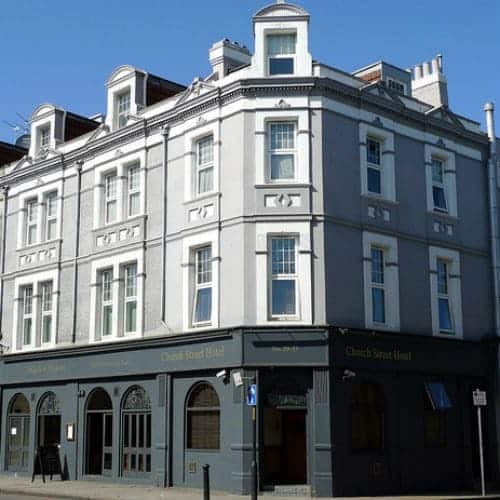 With vibrant local art scene, effervescent night life, yet close proximity to central London, Church street hotel is an ideal location to explore both the cool, and quirky of Local London life, covering Brixton, Camberwell, East Dulwich, Peckham, to the more common central London attractions.